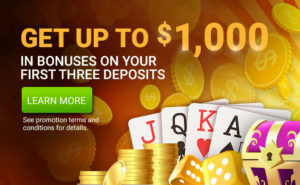 Get rewarded with the CanPlay Casino Refer-A-Friend program! 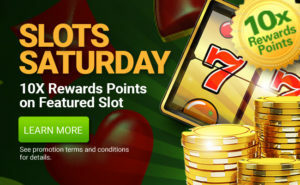 Each qualifying referral nets you a $50 casino bonus while your friend gets 10 Bonus Spins on the Million Dollar Slot and up to $1,000 in deposit bonuses. It’s our way of saying THANK YOU for spreading the word about CanPlay Casino. Current CanPlay Casino players who refer a friend will receive a $50 casino bonus once the new customer that was referred deposits and wagers $25. 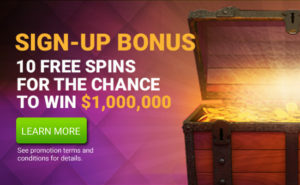 New CanPlay Casino players who register with CanPlay Casino will receive 10 bonus spins on the $1,000,000 slot machine and new player deposit bonuses up to $1,000 in casino bonuses. The casino bonus carries a 30X playthrough requirement and expires in 15 days. The promotion is valid May 15th, 2018 through December 31st, 2019. Employees of CanPlay Casino. and their respective subsidiaries, affiliates, agents and promotion companies, and advertising agencies involved in this promotion are not eligible to participate.